Expat in the Netherlands | A bunch of people moving to the Netherlands, sharing their experience in this new country. Living in the Netherlands as an Expat. 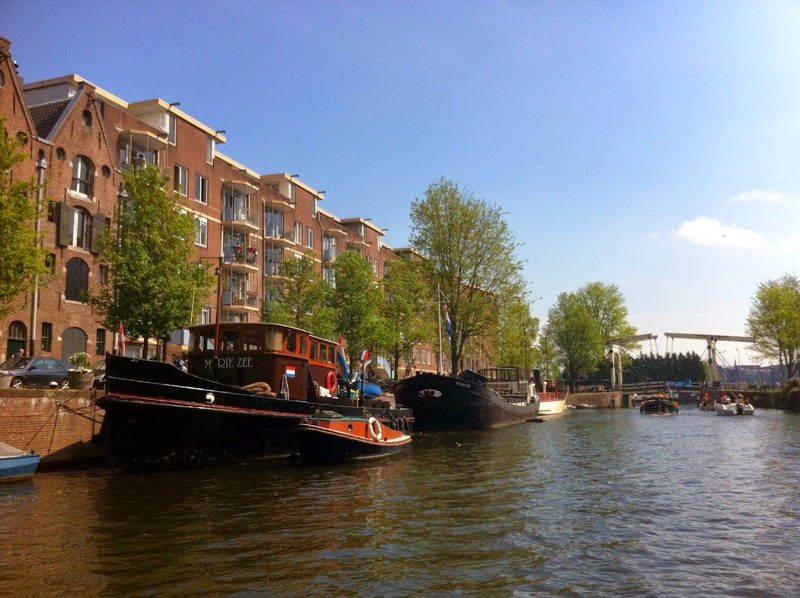 Discovering what to do in the Netherlands, with or without kids. 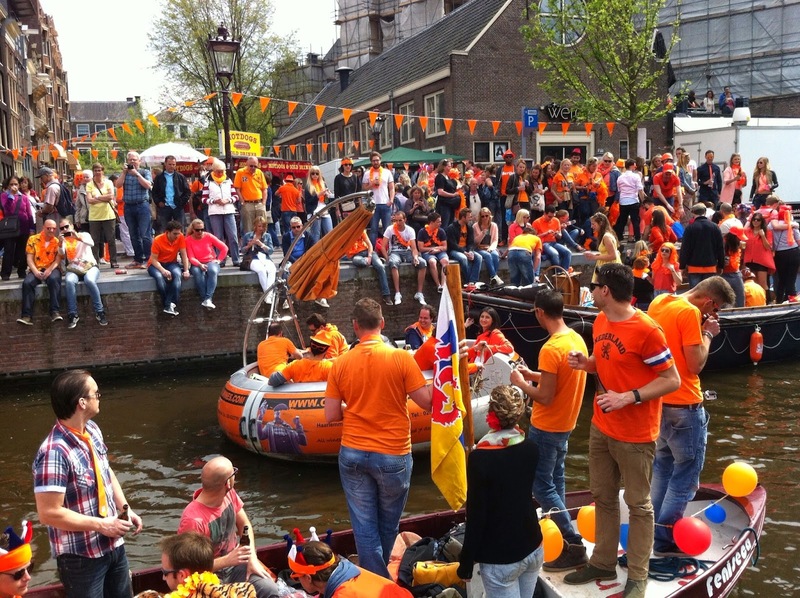 Cultural shock and curious things about Dutch culture. 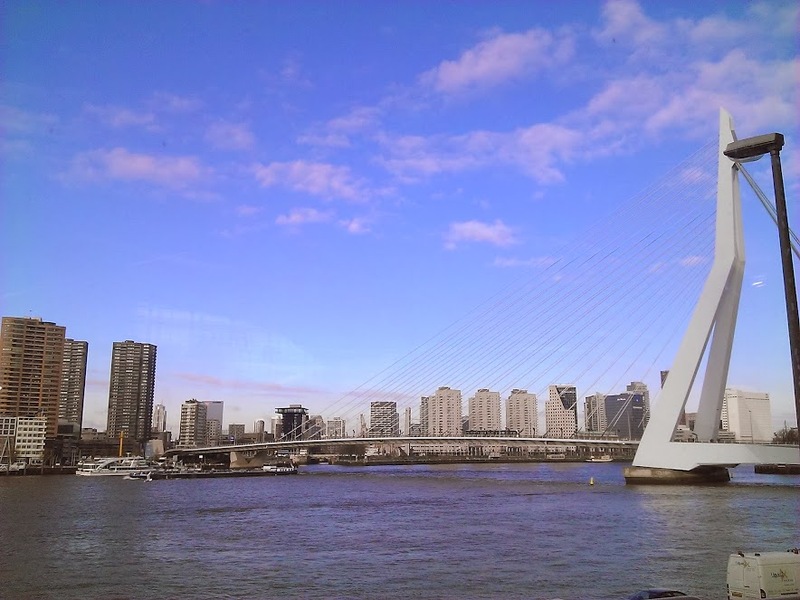 Rotterdam skyline in a sunny day. A UNESCO-listed site that boasts 19 pristinely preserved windmills. (not mine heels though in the picture). On Tuesday I really felt I'm starting to get integrated into the Dutch culture. On Tuesday I did bike wiht my high heels! Weather was of course helping, and giving me the inspiration to bike in first place: it was one of those sunny and warm day.... Sooo delicious. My outfit for that day was including heels, and I didn't want to change it. But I also wanted to take my bike! In the end I told to myself "if they can do it, why cannot I?" I mean, if Dutch women can ride their bikes with heels, why should I not be able to do the same? It cannot be that "only" because they are used to bike every day, in whatever weather condition, since the age of 2 (or maybe even earlier...), while last time I did ride a bike before coming to the Netherlands was probably almost 10 years ago.... This cannot be the only reason why I could not ride a bike with heels. So in the end I decided to give it a try. And, surprise surprise... It was not that bad! Yes, it is true, every now and then I risked to loose the grip on the pedal, but in the end I managed to keep it, and everything was fine. And I discovered that when stopping for a traffic light, it is even easier to keep the balance with heels! So, all in all, balance of biking with heels, is positive! Next step will be sending a text from my phone while biking. Possibly under the rain. That will be the moment in which I will say "Now I'm really getting Dutch". And you? 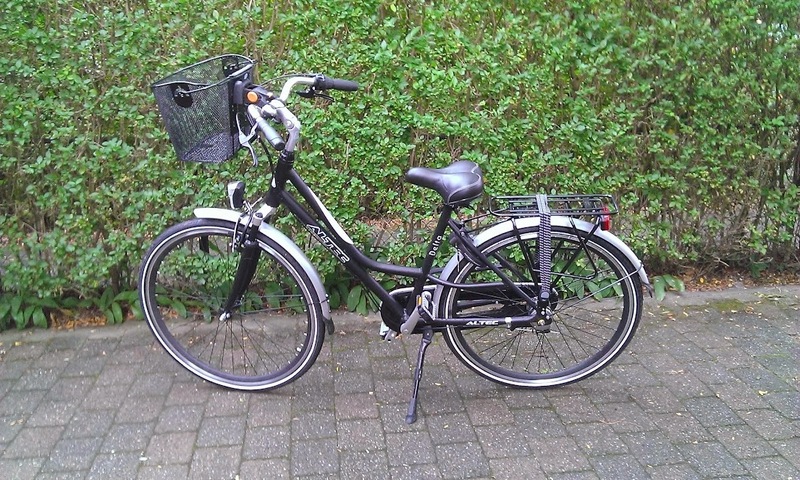 Which was your more "Dutch" way to ride a bike? 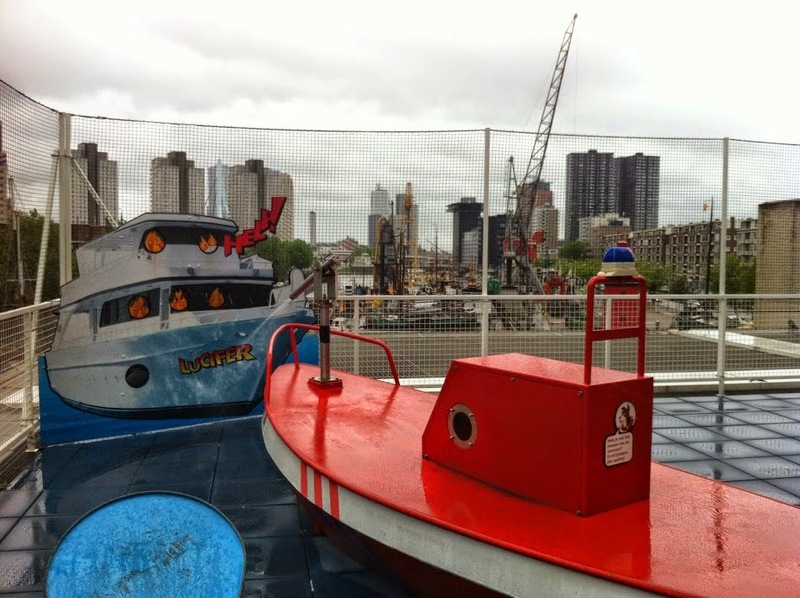 If you're in Rotterdam with kids, and in a rainy day you don't know what to do with them.... Maritime Museum is a good option. 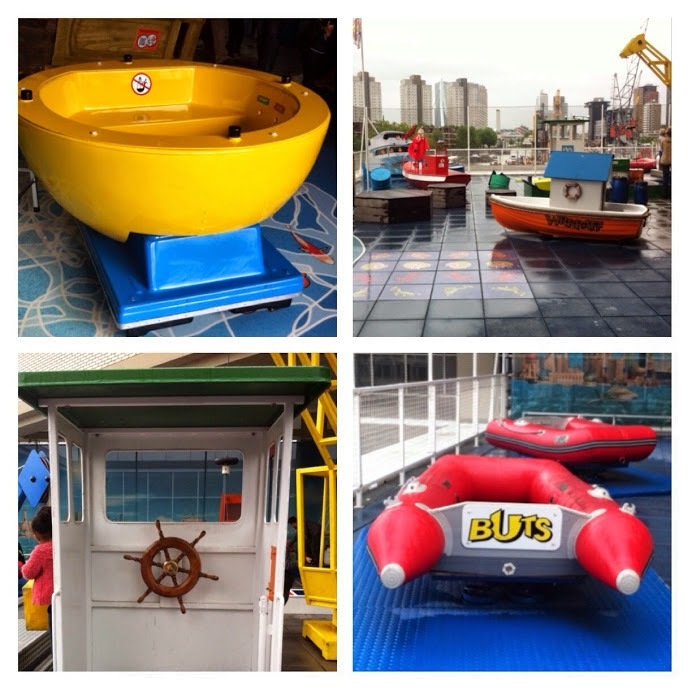 You can easily trigger them telling they will find a nice playground area there. They can go fishing from a "pirate boat", they can sailon a sailboat, work in a harbour, extinguish a fire on a boat, repair a ship engine, and finally, when they will be too tired, they can get some rest on a hammock. Before you get to the playground at the second floor (or deck...) you cannot miss the immense plastic of Rotterdam city and it's huge port. And if kids are patient enough, you can even understand a bit about its history. 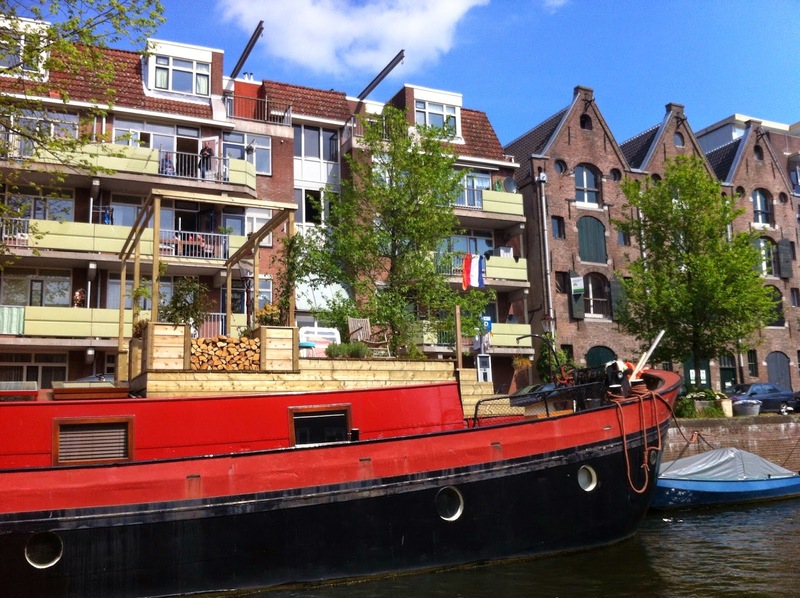 And now until September 2014, every Sunday you can get on one of the historic ships of the Harbour and create a unique trip through the harbor of Rotterdam. Check their website for more details. We have not done this trip yet. 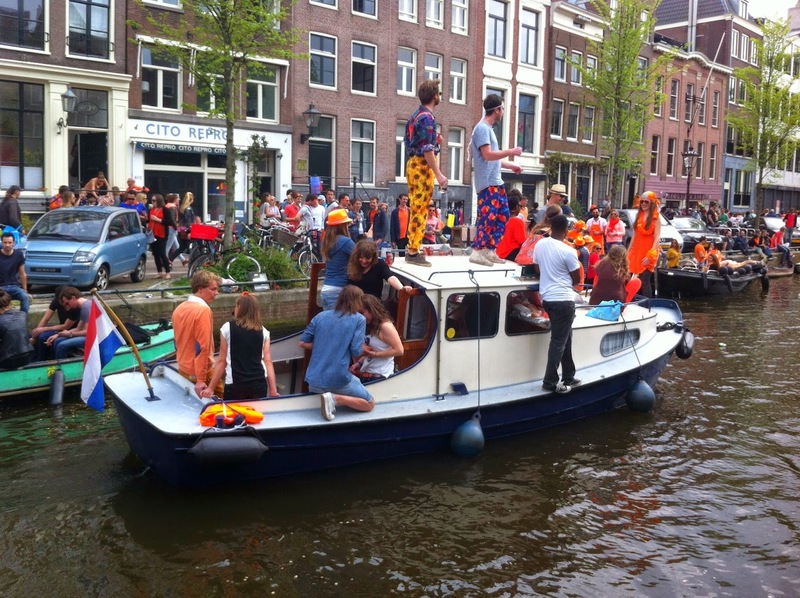 Maybe a good idea for something to do with kids in Rotterdam in a bit more sunny sunday. 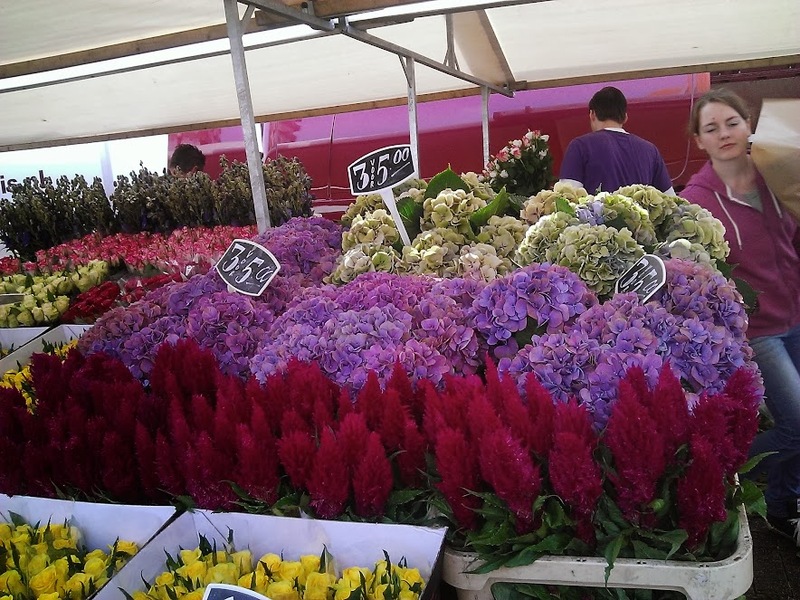 Living in the Netherlands it is difficult not to fall in love with flowers! Last Saturday there was a beatiful "Flower Parade". 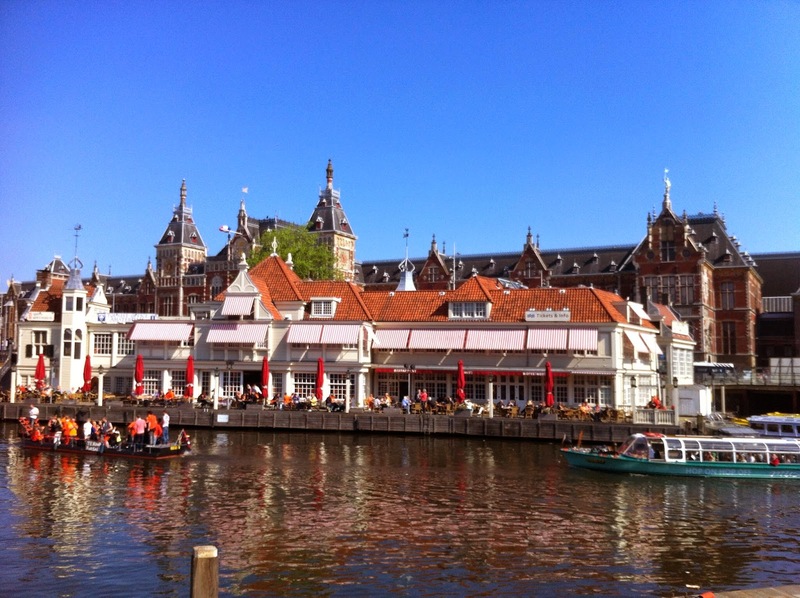 It started in Noordwijk and ended in Haarlem, passing the Keukenhof garden. Going there we saw many floats built and decoraded with millions of flowers: an amazing show. And if that was not enough, we also have been lucky enough to get a sunny day! If you will be here around next year, definitely worth while to consider a visit to the parade! 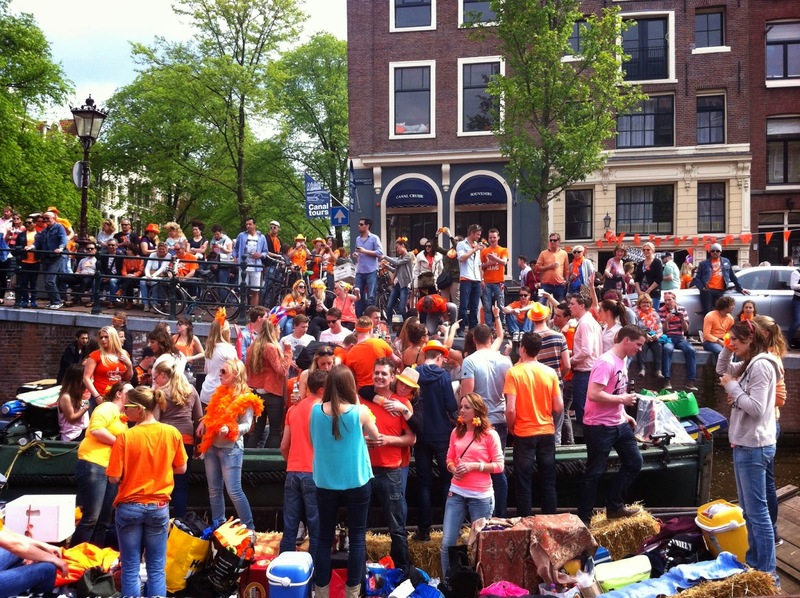 If you decided to leave in the Netherlands, you should celebrate at least once the Koningsdag, the King's day. 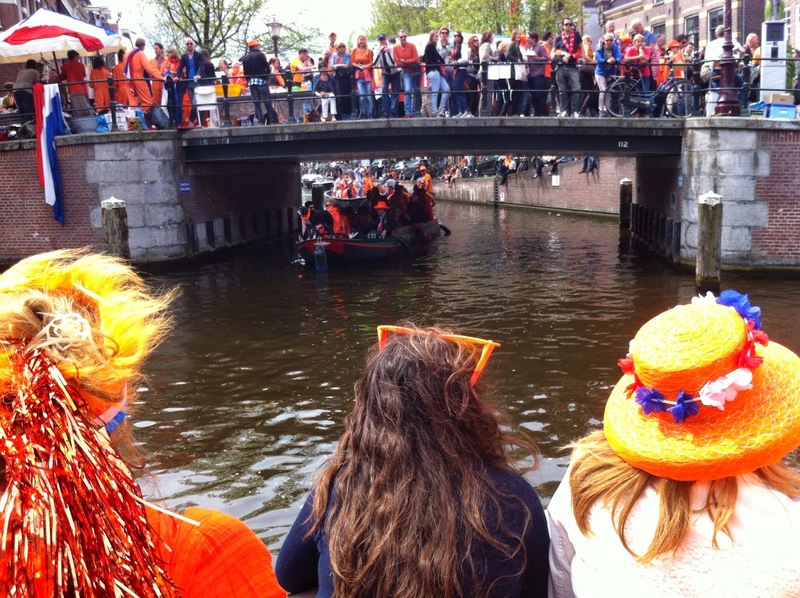 It is an easy way to get closer to Dutch people and to their habits. 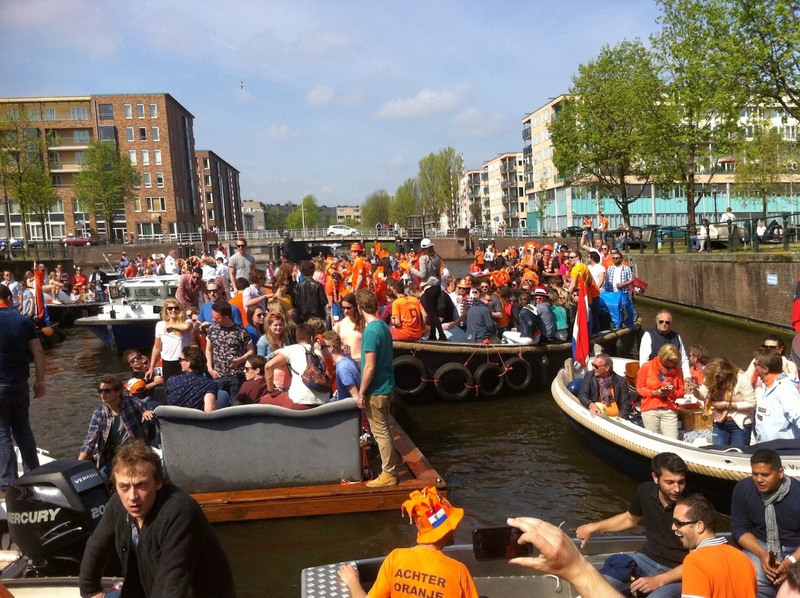 It is an incredible party, and celebrating it from a boat could be great fun if you're with the right company. 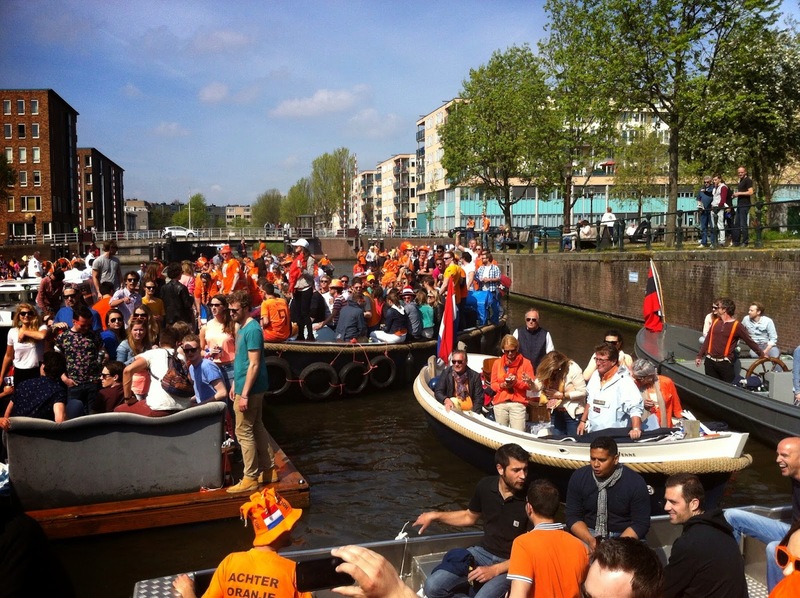 In our first year in the Netherlands, we decided to celebrate it in Amsterdam. Since I left my house in the morning I noticed something different: many houses had a dutch and an orange flag, doesn't matter if small or big. And while going to the station was funny to see that everyone was wearing at least something orange: kids with a t-shirt, old ladies with a scurf, or maybe with small details like ear-rings. 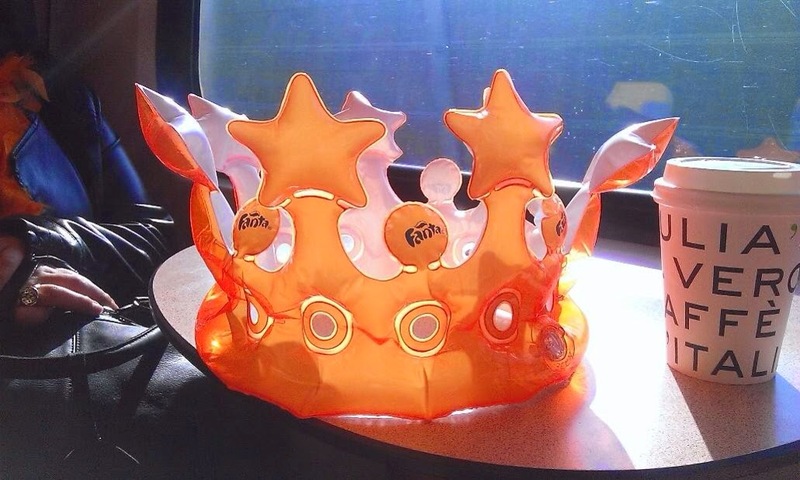 It doesn't matter using what, the important thing is bringing to life "orange-ness" in some way! 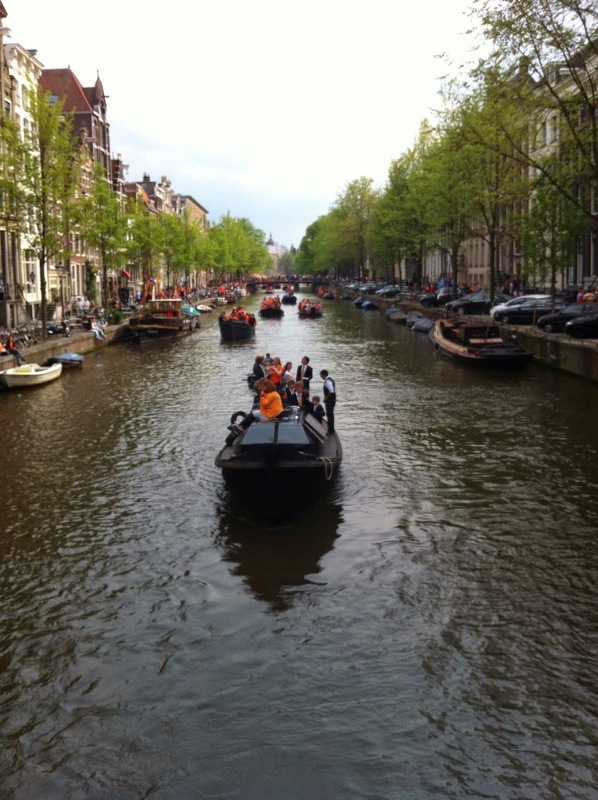 Once we arrived in Amsterdam, we jumped on a boat, to live the party from the canals. At the beginning I was even scared: I couldn't believe our boat could handle all the people that was waiting to jump on. And actually... it could not! After a smooth starting, our boat had to stop for technical reasons, no better identified! But despite the technical stop.... it was anyway amazing. Sun was shining, music was loud, and beer was fresh. So no worries! And after a while we were finally able to leave again. It was like being in a huge dancing party. All the boats with music, and people dancing and cheering from one boat to the others. Music everywhere. There was a feeling of joy and sharing. People was looking at the boats from the bridges, and waving at people on board. Everything around painted orange. 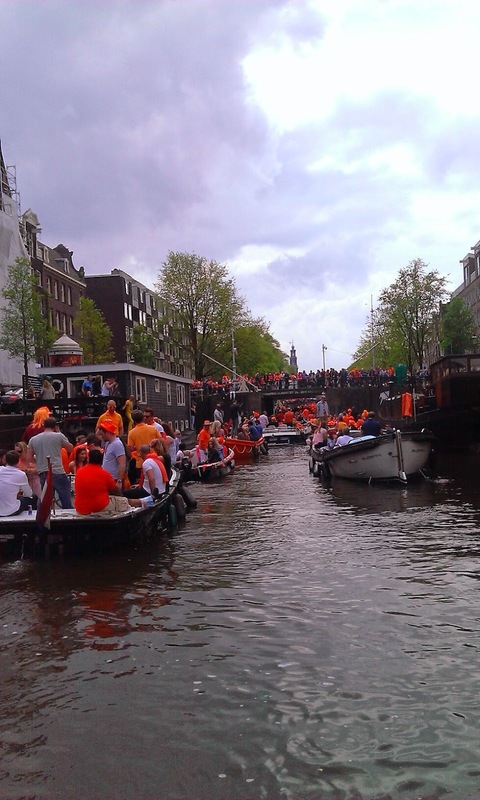 And from the boats, we were watching at people from balconies also celebrating. 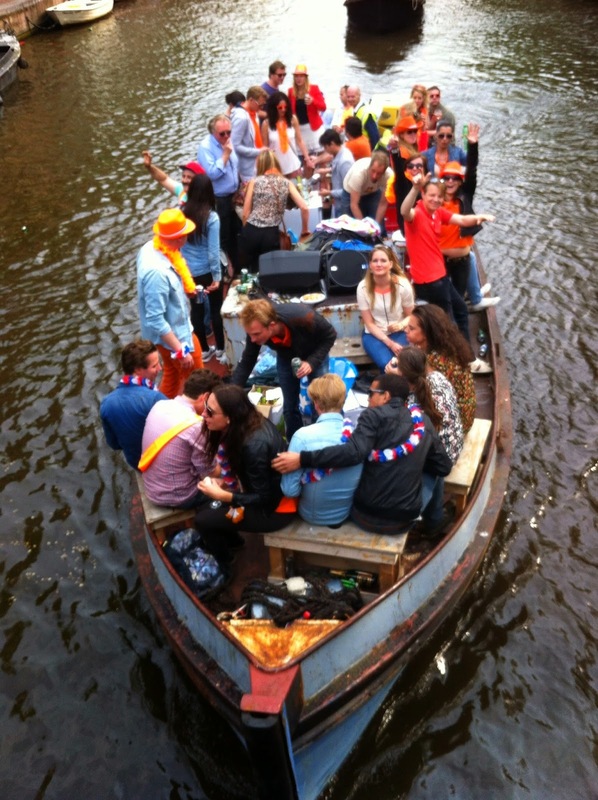 Was nice to see people from the house-boats also participating to the party. 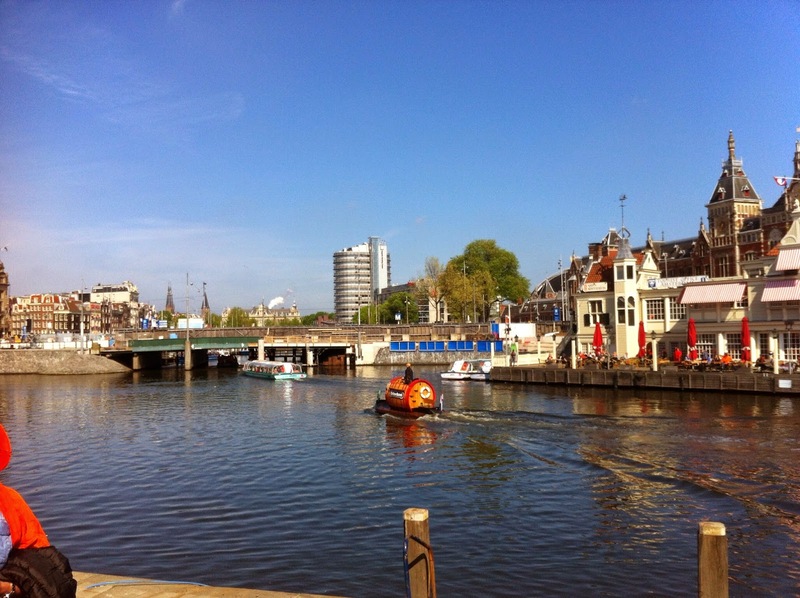 Again, a nice day lived in the Netherlands. 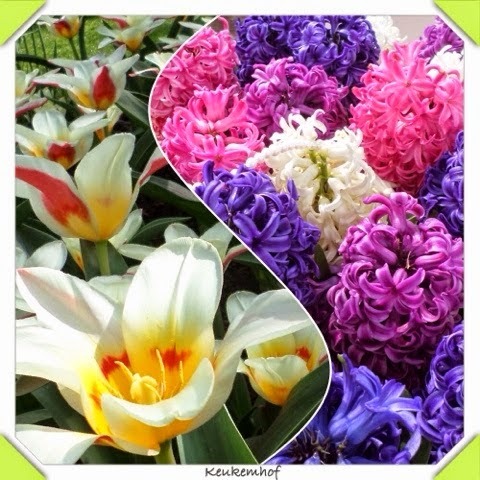 Finally is the time to talk about Keukenhof. I was looking forward for spring to come, to be able to visit this wonderful botanic garden. And finally we've got the opportunity to go there. We were waiting for the nicest and warmest weekend of the month! We went there by car - not really Dutch style! - but you can also go there by train and then there's a bus from Schipol to the garden (see Keukenhof website for more infos on how to get there). Some of us bought theticket on line, to avoid cueing at the entrance. But we discovered that even the Dutch efficiency from time to time can fail: the ones who bought the ticket on line had to wait more than the ones who have bought the ticket at the entrance. Despite initial difficulties, we manage to get inside, and we have been welcomed by a funny music and a nice water fountain. 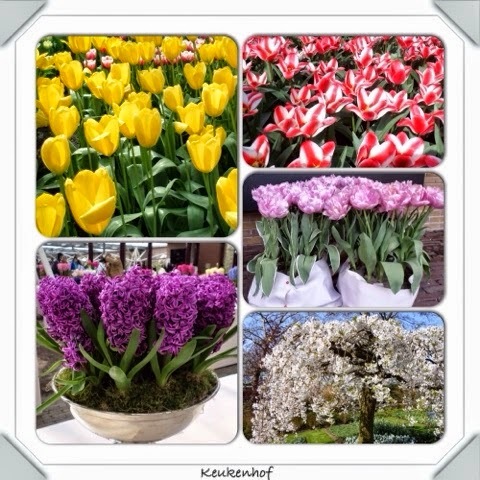 Keukenhof is open from 20 March until 18 May 2014. Every single day! That also means every Sunday and public holidays throughout this period, including Easter Sunday, Easter Monday, King's Day and Liberation Day! So, Sara, how did you find it? Sara: I liked it a lot. It was nice to walk in this garden, surrounded by tulips, narcissus and hyacinths. Simona: What always strikes me, is that here despite you are in a place with so many people, it is always silent around. 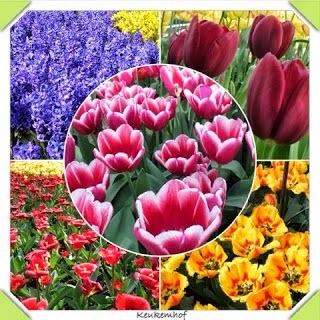 Sa: it is amazing to see all these flowers forming nice figures with different colors and types. Si: I have to be honest: now I understand why many dutch don't like to come here, as they consider this place too touristic. Actually it is extremely touristic. But in the end, we're also tourist in some way, right? Sa: yes! Absolutely, let's get the most out of being tourist while here! Si: what I like here is that, as in many other parks I visited in the Netherlands, you can choose if either buying your food here, with many different alternatives - not really the cheapest solution! - or eating something you bring from home. There are always nice picnic areas. Sa: and it is amazing to see that Dutch always think about family with kids, and always find a way to include a playground area for the smallest one. The area here was really cool. Si: I think kids also enjoyed the labyrinth! Si: I enjoyed the windmill. It's a pity though we didn't manage to go for the boat tour. Sa: we have to come back! Next time we do the field trip on a bike (it is also possible to rent the bikes directly here), and maybe even the boat tour. Si: Yep. Let's see also if we will be able to make the Amaryllis bulb we bought growing. Sa: otherwise we come back to complain! :) But also to see more tulips, like the amazing and huge ones we saw in the green house. All in all, despite not cheap entrance (15 euro) - but we're getting that here, it's not easy to find something cheap! - I think it worth, and we spent a nice day surrounded by the beauty of wonderful flowers.